Bread crumbs are small particles of dry bread, which are used for breading or crumbing foods, topping casseroles, stuffing poultry, thickening stews, and adding bulk to meatloaves and similar foods. 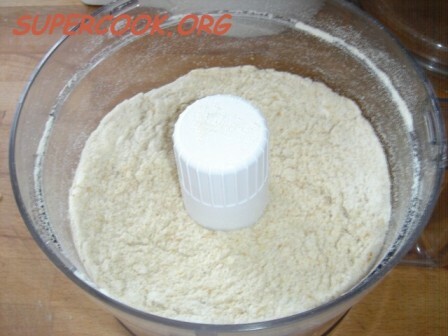 Bread crumbs will reflect the taste of the bread they were made from (rye or wheat, sweet or spicy, etc.) and thus will add this taste to the food being cooked. 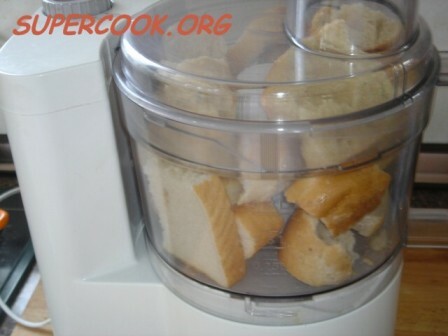 Breadcrumbs are made from very dry bread. 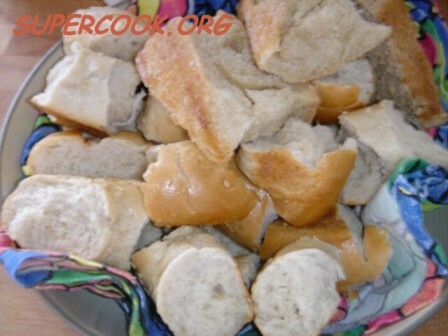 To remove all remaining moisture, the bread can be dried in the oven or toasted.